Few things that make a dog happier than a tasty biscuit. These and other dog chew treats come in all shapes and sizes. You can bake them at home or choose ones from the store. Be aware that they’re not all equally nutritious or easy on your pet’s teeth. Although it’s really fun to reward Fido with his favorite treat, WebMD for pets advises that the amount of treats you feed your dog never exceeds 10% of its daily calories. This “10 Percent Rule” doesn’t mean you can’t feed your pet treats. Just don’t get carried away and choose wisely. Dog dental chews are very popular right now. Many of these treats are shaped like small tooth brushes or ridged sticks. Many of their manufacturers even claim these treats are as effective as tooth brushings. In this ABC News article, Dr. Alexander M. Reiter, head of the Dentistry and Oral Surgery Service at the University of Pennsylvania School of Veterinary Medicine, explained how no dog treat is as effective as daily brushings and professional cleanings, but some can help to reduce plaque. In addition to following the “10 Perfect Rule,” make sure these treats won’t hurt your pet’s mouth. Some treats are too hard while others pose choking hazards. 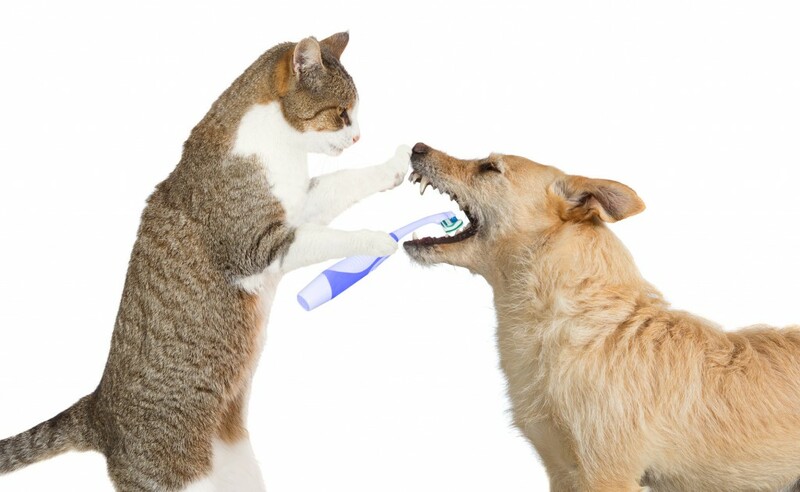 The Veterinarian Oral Health Council (VOHC) has published a resource listing products for both dogs and cats that meet its criteria for safety and effectiveness reducing plaque and calculus. As always, consult with your local veterinarian if you have any questions regarding the perfect amount of treats to feed your dog or which ones they recommend. Call us at 321-794-4477 to learn more about our cage-free pet boarding options and pet taxi services.